Lakers for sure..it's a stocked lake. Anglers Atlas has a free contour map available. 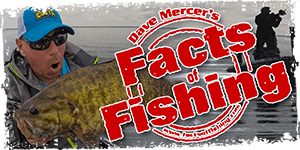 Silver Lake is not terribly big, so if you work your way along the shorelines with spinnerbaits or Husky Jerks, you should find a few bass and the occasional pike. The west end of the lake has the most shallow weed cover. 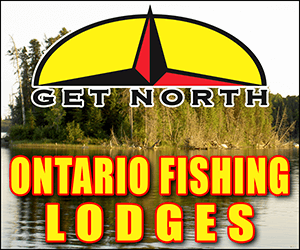 There are stocked lake trout as well, which average about four pounds and top out at 10 to 12. It's okay fishing, not great. Troll deep with big spoons (big Williams Whitefish tipped with a minnow head works great), or vertically jig with ice fishing lures. There are some good deep ridges toward the middle of the lake, heading toward the east end. There are a few islands off the boat launch (accessed via Hwy 7), which continue underwater as a series of small humps. That seems to be the community hotspot. Not too sure about boat rentals. There used to be a gas bar and restaurant on the south side of Hwy 7, near the east end of the lake that sold bait and such ... you could ask there. There's nothing left in Silver Lake other than the park and a tiny store across from the gate. Everything else is gone (as in one huge parking lot bulldozed). The cabin rental place just West of the PPark has been closed up for a few years, unless something has changed this year. PPark probably rents canoes. As Craig points out the deep hole is out in front of the island.. that is in front of the dirt launch at the picnic area on the side of the hwy. As I mentioned you can print a free map of the lake at Anglers Atlas. I have a cottage on Silver Lake, could help out with a boat if you need one. Provincial Park rents out canoes, there is good bass fishing and pike fishing in the weed beds that surround the lake, I haven't fished for lakers, but they're here too! Some of our best camping trips with the kids was at Silver Lake, nice little PP, a lake with some good fishing and decent swimming area too. My profile pic is taken there! My sons friend, Mike The Bass Fisherman on the board here can tell you there are some decent sized bass in the lake. Well there were until he got there that is.. Caught a few pike trolling the weed edges out from the point of land at the park. thanxs a lot for all the help guys..
thanks for the update monsterman, sounds like you had a great time and it's a place I should keep in mind for future trips. Mind if I ask if it was a quiet campground and was there much motorboat traffic on the lake ? Have you seen ppl catch Lakers during the summe months?